Langston Hughes understood dreams, those deferred and those denied. For too many immigrants, the American dream “sags, like a heavy load,” heavier now because of the double blows of the defeat of the DREAM Act and the Obama administration’s unrelenting pursuit of undocumented immigrant workers in the workplace. 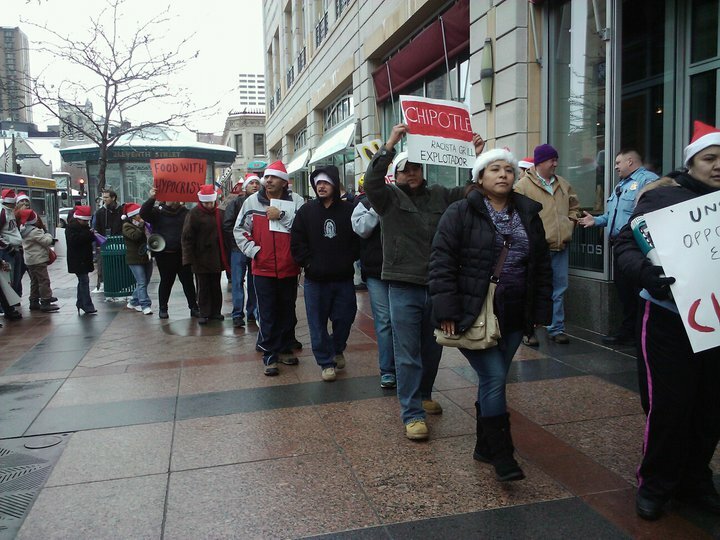 Chipotle workers marched in Minneapolis last week, protesting recent firings attributed to Immigration and Customs Enforcement (ICE) pressure on their employer to clear the payroll of any possibly-undocumented workers. The tool ICE uses is workplace audits, which have pushed deportation numbers to a record high this year. The timing of the Chipotle workers’ firing—after training in non-Latino replacement workers and before receiving long-awaited Christmas bonuses—tasted particularly bitter. Comprehensive immigration reform is needed, but comprehensive immigration reform has been blocked for years. Even back in the day when Senator John McCain supported it, comprehensive immigration reform never got close to passage. So the Obama administration, though promising to prioritize immigration reform, decided to seek Republican support by imposing a hardline enforcement and deportation regime. The DREAM Act would have offered a circumscribed, on-your-best-behavior opportunity to become legal residents to a limited number of young people. Young people brought to the United States before the age of 16 who have lived here for more than five years and then attended college or served in the military would have qualified to apply for legal residence. Even that was voted down by a Senate that is hamstrung by filibuster rules. In a July interview, John Keller warned about a growing credibility gap for the president on immigration. He suggested that the president could take some executive actions even if he could not get comprehensive immigration reform through Congress, such as granting deferred enforced departure (DED) to students who would come under proposed DREAM Act provisions.